If you'll be spending Christmas in Bolivia, you'll notice that its traditions associated with this holiday are different than in many parts of the world. With its high population of Christians (76 percent are Roman Catholic and 17 percent are Protestant), Christmas is one of Bolivia's most important holidays. In addition to the church, the country's indigenous heritage remains influential on its Christmas traditions, many of which are unique in South America. As in Venezuela, the most important time during the Christmas season is Christmas Eve. On this night, families attend Misa del Gallo, or "Mass of the Rooster," which is affectionately called that because they return home early in the morning simultaneous with the rooster's awakening. One of the unique traditions of Christmas in Bolivia is to bring two offerings to mass. One offering is a small baby Jesus figurine. The other offering reflects one's profession. For example, a cobbler may bring small shoes or a baker may bring a small loaf of bread. The holiday continues through to the Epiphany on January 6 when children receive gifts. The night before Epiphany, children place their shoes outside their door and the Three Kings leave presents in the shoes during the night. Christmastime is also harvest time in Bolivia. With a strong indigenous population, Bolivians celebrate Mother Earth's bounty and thank her for the generosity of the past and hope for the future. Christmas celebrations begin when families return home from midnight mass and enjoy a traditional Bolivian dinner and festivities. Unlike North America, Christmas in Bolivia occurs in the summertime when it is warm, so it is common for families to toast with cold drinks. Dinner consists of picana, which is a soup made with meat, potatoes, corn, and other vegetables. It is accompanied by salad, fruit, and roast beef or pork. The next morning, it is tradition to drink hot chocolate and eat buñuelos pastries. Although Western Christmas traditions are being incorporated into Bolivian homes, it is not common to decorate the outside of houses or to have a Christmas tree. Instead, the most important decoration in a Bolivian home is the pesebre (also sometimes called a nacimiento), which is a nativity scene. It is the centerpiece in the home and also prominent in the church. It is also common to see gourds carved and decorated to create small nativity scenes. However, as time passes, it is becoming more common to see European- or North American-style decorations accompany the traditional items and Christmas trees are becoming a popular holiday decoration. Although families are slowly adapting outside Christmas traditions of turkey dinners, Christmas trees, and gift exchanges, there are many interesting traditions unique to Bolivia. As mentioned earlier, Bolivians do not exchange presents on Christmas, however, on Epiphany, children leave their shoes out overnight and the Three Kings fill them with gifts. Another tradition that remains strong is the giving of a canasta, which is a basket of goods given by an employer to its employees. Each employee's family receives a gift basket with staple foods along with Christmas items such as cookies and candies. 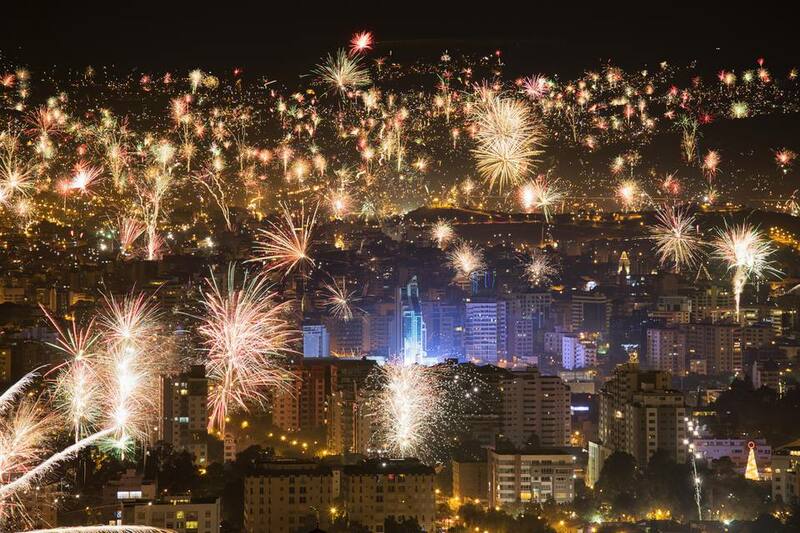 As in many South American countries, Christmas in Bolivia is filled with the sound of firecrackers. The noise of the celebrations can last all night as families enjoy firework displays that often rival those of the Fourth of July in the United States.